It’s been another wild week, and it doesn’t look like it’s going to let up for a few more weeks, but I’m excited to be able to see some friends I haven’t seen in a long while and to help celebrate baby showers and birthdays in the next several days with some awesome people I love a lot. Here is an article I wrote for Inner Child Magazine a couple of months ago about getting yourself free from the tricky food label game. Hope you enjoy! I’ve read two articles recently about how two of the top food additives we’re told to avoid are getting name changes to sound not only benign, but in one case downright healthy. According to new reports, Aspartame is about to be known by the name “Amino Sweet” and High Fructose Corn Syrup has already been shortened to the harmless sounding “fructose” in some big name products that are currently on the shelves in your local grocery store. For consumers, this kind of blatant deception can be frustrating, especially if we don’t know what we need to look for. As I started doing more research it became apparent the lengths companies will go through to hide these things in plain sight or pass them off as safe when they are anything but. Unless you are eating a totally unprocessed diet, chances are you’re having to scan through a list of ingredients that can overwhelm even the most seasoned healthy eater, especially if you have kids in tow or are just in a hurry. I’d like to share some aliases to look for when you want to avoid some of the major bad guys when it comes to chemicals in our food. Below are some of the names you might not know to look out for. Monosodium Glutamate, known to most as MSG, is at the top of most nutritionist’s list of ingredients to avoid. It’s been known to cause a whole host of bad symptoms from high blood pressure and blood sugar, to obesity and a fatty liver. It might flavor your food, but it comes at a cost to your health. While it seems easy enough to scan a label for it by name, it can also be found in up to 40 different common food additives. Some of these may even be found on shelves of stores specializing in health foods. The most common names you’re likely to see on labels are hydrolyzed vegetable protein, textured vegetable protein, and yeast extract. You may also find traces of MSG in gelatins, and soy and whey proteins. If you have been told to avoid MSG, I recommend spending a little time online and getting familiar with places it may be hiding. There is quite a lot of information out there. If you’ve been diagnosed with Celiac Disease, your doctor has probably already familiarized you with the hidden sources of gluten, but if you are new to the game or are avoiding gluten for other reasons, it pays to know its other monikers. 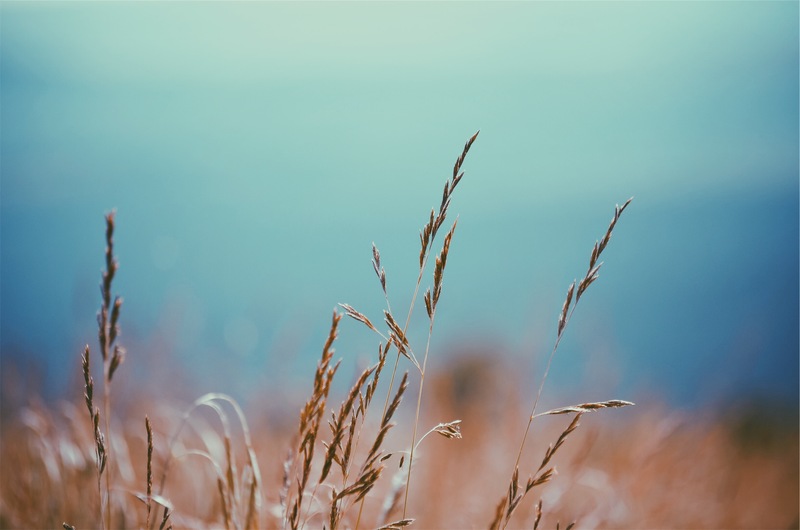 The most common source of gluten is wheat, but did you know that you may need to avoid certain types of oats, spelt, einkorn, rye, barley, malt and brewer’s yeast? This is another additive that can be very tricky to spot. When in doubt, a lot of natural food stores can provide you with a list of items on their shelves that are considered to be gluten free and you can just stick to what you see. Then, there are the sugars. As a good rule of thumb, if it ends in –ose, it’s likely a form of sugar, but if you’re diabetic or just trying to cut sweets out of your diet, there are some other sneaky sources you might want to look for. Brown rice syrup, fruit juice concentrate, agave nectar and barley malt syrup are a few that are common terminology when it comes to packaged snacks and treats. Also be on the lookout for Sucanat, which is sometimes called evaporated cane juice. A lot of times these are marketed as healthier alternatives to sugar, and while they are slightly better than the refined white stuff, they are still highly caloric and can cause blood sugar to spike. While not an additive per se, GMOs (genetically modified organisms) are something to consider as well. It’s a hotly debated topic at the moment and while on the surface there are good reasons to be in favor of using GMOs, such as less need for pesticides and a higher yield of crops, the long term affects of consuming GMO foods is still not known. If you’d rather be safe than sorry, some common foods that use GMOs are corn, soy, canola or cottonseed oils, certain sugars and dairy products not bearing a hormone-free label. The best thing to look for if you want to avoid GMOs are items that are considered organic. You may also see products that will state they are GMO-Free or are Non-GMO Project Verified, and these are safe to consume. Keep in mind that if you are looking to avoid any ingredient for health reasons, these are just a jumping off point. Talking to your doctor and doing your research are still important, even if the process seems daunting at first. There are plenty of food lists and infographics out there that can be printed, laminated and kept in your wallet or handbag for easy reference next time you’re out doing your shopping. If you’re dealing with serious food allergies or health concerns consider locating support groups and online forums for valuable resources you may not know exist. They can steer you in the right direction and can likely share recipes, too. Any time spent creating wellness with better food is worth it. Happy and healthy eating! Tejomaya Wellness Has Received a Liebster Award! Wow! After a kinda rotten day last week, I came home to find out that my blog has been nominated for a Liebster Award! Holy cow! I’m honored, and big thanks to beautyjoynlove.com for the kind gesture. I’m totally humbled and more grateful than I can express to know that my words are touching hearts and minds. I’m getting a little teary over here. 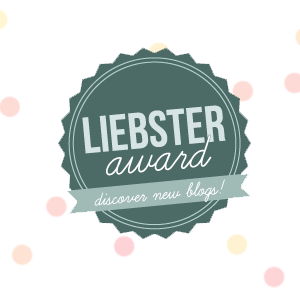 So what exactly is a Liebster Award? I wasn’t familiar with it at first, so after a little good old fashioned Googling, I learned that it’s an honor bestowed upon bloggers by bloggers. It’s a great way to help others discover who you are and what you’re about and to discover other writers in the process. Awesome, right? 1. Describe your best trip ever. When I was 15, my grandparents, mom, sister and I all piled into a car and drove to sunny California from our home in Colorado. It was a loooong trip, and I was a sullen teenager who stayed jacked into a Discman for most of the trip, (yep, this was before iPods and smart phones! Yikes! ), but I have fond memories of being able to see parts of the country I’d never been to before. I also have some great memories of spending the time with my grandparents, neither of which are here any longer. If yours are still alive, go hug them! People are gone in an instant and you should love them as much as you can while they are here. 2. Favorite place in the world? That’s easy! On a blanket in Chautauqua Park, staring up at the clouds. Boulder, Colorado was my home in the mid to late 90’s and I left my heart there in a big way! As soon as my life and finances allow, I’m headed back to stay. I do believe that life brought me here for several important reasons, but I am excited for the opportunity to go home to present itself to me. I’ve been hearing it calling me for a lot of years, now. This question is hard for me because I am an avid reader. I feel like my list of favorites grows with every new book I devour, but one that’s stuck with me since childhood, and taught me a lot about love, the goodness in all of us, and utter selflessness was A Tale of Two Cities by Charles Dickens. We sorta had it forced upon us in a high school English class, but it changed me. I’ve re-read it several times since, and I fall in love with it a little more each time. Sidney Carton is far and away one of the most underrated characters in literature. Say what you will about your Heathcliffs or your Jean Valjeans, but Sidney is my guy. Another toughie, because I’m definitely a gal with a heart for animals. I’m specifically fond of my dog, Harrison (named after the Beatle, George Harrison). He is my rescue baby. I was at the intake desk of a local animal shelter on the day he came in. He kissed my face and nuzzled in and we’ve been partners in crime ever since! He is a goofball and he totally lights up my life. I used to joke that koalas were my Spirit Animal because they are sweet and docile until they are made angry. J Every quiz I’ve taken on the topic points to the owl, though. As I’ve developed my intuition and have devoted more time to the pursuit of knowledge, perhaps that’s a better fit. “Last Goodbye” by Jeff Buckley. Stop what you’re doing and go listen to this right now. He left this Earth far too soon and I miss his unbelievable talent every day. I’m about to reveal something silly about myself, but my mantra is “Everything’s coming up Milhouse!” It’s from an episode of the Simpsons, and that probably tells you a lot right there. Milhouse Van Houten is a down on his luck sort of fellow. He’s picked on in school. His eternal love for Lisa is unrequited and his parents kinda put him through some weird stuff after their divorce. When his house unexpectedly floods while he’s wearing flood-pants, he uses his proud exclamation like he was just made King of the World. I like to use it often to remind myself to celebrate the little stuff like its big stuff and to turn my day around if it’s headed in a crummy direction. It works enough of the time that it stuck. Within myself now, but it didn’t always used to be that way. Chronic stress used to rule my life. In fact, it made me very sick for over 6 months. I drank alcohol in excess and overate in an attempt to quiet that stress, but it did nothing to satisfy me. When I finally turned to meditation and got my spiritual life back on track, that’s when I found my peace. I became so enamored with it, and so transformed by it, that I certified to teach it. I believe that the answers we seek are in all of us already, we just have to be quiet and still enough to hear them. Because I’m a writer and I have books in me. Language is art to me. There are so many possible combinations of words you could use to express a single thought. When I’m writing fiction, which I sometimes do in my free time, I love creating alternative worlds for my characters to live in. I feel powerful when I’m done, but it’s not quite enough. You see, when I blog, I do it from my heart. I write about life lessons I’ve been taught or interesting facts that I’ve learned during my studies because I want to share my heart with people. I’m always blown away when people respond. It’s an honor knowing that my words have reached someone. When I started kindergarten, I could already read and write, but the teacher at the new school I went to wanted to delay me a year because I couldn’t catch a ball while balancing on one foot. Educational standards are weird and I still can’t do that! It is a dream of mine to see as many museums as I possibly can. Sister Wendy is one of my sheroes! Math was my poorest subject in school, but my favorite day job that I’ve held was in accounting and I was actually pretty good at it. Go figure! I cannot see a dog, any dog, without saying “aww” and then turning into a big pile of mush. I genuinely like every genre of music. I may not dig every song, but my tastes surprise a lot of people. I was once discovered by a band who was looking for a new lead singer while jamming out to the jukebox and using an empty beer bottle for a mic. We played together for a few years, and had way too much fun, but we recently busted up when most of our members had kids and I decided to pursue my love of natural medicine and the healing arts. If the right opportunity ever presented itself again, I’d love to record an album, though. My favorite smell in the entire world is freshly cut watermelon. It also happens to be my favorite fruit. My favorite television show was and still is Buffy the Vampire Slayer. I consider myself a devout Whedonite and I love the way he writes strong, female characters. Wax museums give me the creeps. I can’t even think about them without getting a little wigged out. I wholeheartedly believe the answer to any problem is a 5 minute dance party. I think it could stop all war. Why did you start your blog and how long have you been writing for it? If money were no object, what would you be doing and what’s stopping you from going for it? What’s one album you own that you can play from start to finish without skipping any songs? If someone wrote a movie about your life what genre would it be and who would you choose to play you? If you could invite any one person from history out to dinner, who would you invite and why? What do you do for yourself daily that gives you joy? Thank you again to beautyjoynlove for the nomination and I hope my nominees enjoy the props. I do also want to make sure to say thank you to my lovely readers and followers for giving me an audience for my thoughts. Hello again, Lovely Readers! It’s been another busy couple of weeks for me with classes, work and adopting a new fitness routine. I can proudly say that I’ve dropped 15 pounds since finishing my month of juicing and switching over to a clean, unprocessed diet! I’ll be sharing more about that journey with you very soon, but in the meantime, here is another one of my articles from Inner Child Magazine. I hope all of you are having a great April, so far! Depression. It’s almost a fact of life these days. 1 in 10 adults have reported experiencing it according to the CDC. Sometimes it’s affected by the seasons. Others we experience due to the stress of life or after the loss of a loved one. Chances are, you or someone close to you will face depression at some point, if not already. For mild to moderate depression, you needn’t abandon hope. There are things you can do to get your happy back. Start with Supplements: A good fish oil, or sea algae supplement for vegans, will do wonders for your brain. Aside from providing you with nutrients that will help memory and offset Alzheimer’s, omegas also help battle depression. Omega 3s have been shown to be lacking in depressed individuals. Vitamin D is a biggie, especially in the winter when our exposure to the sun is more limited. It’s not at all uncommon to be deficient and supplementation is simple. St. John’s Wort is very popular for treating mild to moderate depression, with some studies showing it to be equally as effective as some prescription medications. You may also want to look for SAMe and 5HTP. There is some evidence that both may be helpful as 5HTP is a precursor to serotonin and SAMe may increase the level of serotonin, dopamine and norepinephrine in the brain. These are all contributors to feelings of well being and energy needed to stay motivated when times are tough. Just make sure to talk to your doctor or pharmacist before taking any supplements to make sure your dosages and all possible interactions have been accounted for. Follow Your Nose: Citrus essentials oils of orange, lemon, lime, grapefruit and bergamot are all known to lift the spirits and leave behind a bright, cheerful scent. Mix your favorites together and diffuse them in your home or put them in an unscented cream or oil and wear when gloomy. You’ll see it has a lot of a-peel! If fruity scents aren’t your thing, look for rose or chamomile to brighten your mood. The idea is to surround yourself with something that you like, so if it isn’t your favorite, it probably won’t do the trick. Just make sure you’re using real essential oils, as fragrance oils made from chemicals don’t have the same effect on the limbic system as the real thing. Get By with a Little Help From Your Friends: The last thing you probably want to do when you’re down is be social or even put on pants, but when someone tosses an invite your way to go out dancing or come over for game night, go! Being around people who care about you and make you laugh is exactly what the author ordered. Make the extra effort and spiff up a little, too. Taking the time to take care of yourself is a must. Do your hair. Shine your shoes. Heal your soul. Fuzz Therapy: If your finances and lifestyle allow, consider adopting a pet. 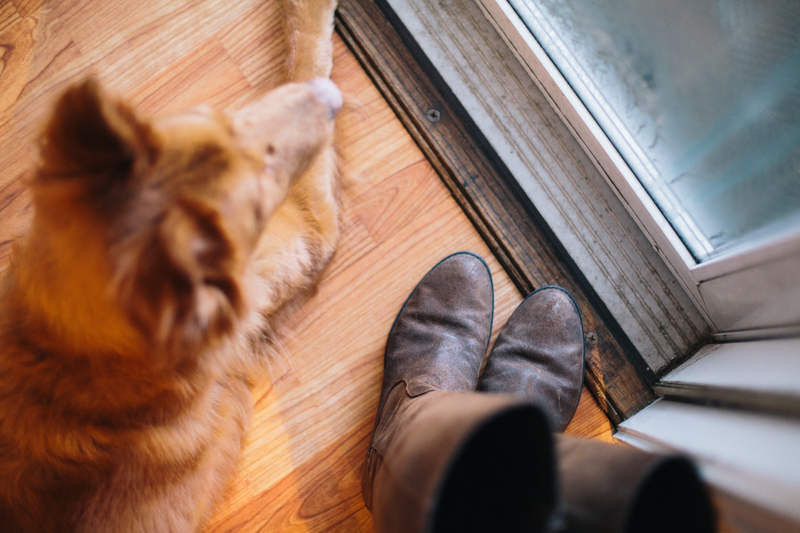 Furry companions require exercise and playtime, which will force you out of your rut. They also require serious snuggles which will boost your mood faster than a cat comes running at the sound of a can opener. I speak from personal experience when I tell you that my dog was sometimes the only reason I managed to get out of bed and go to work during some of my darker days. It was my responsibility to feed him so I made myself go for him. Returning home to his grateful, wagging tail was entirely worth it. Get Spiritual: People with a solid spiritual practice tend to experience less depression that those that don’t. Prayer can help put you back in touch with your heart and help you find that light at the end of the tunnel. Meditation is something that’s helpful no matter what faith you belong to. Volunteer to do some community outreach at your place of worship. If you’re not religious, find a local group of Secular Humanists doing good things in your area and get involved. Doing good feels good. Isn’t that what it’s all about, anyway? By taking an active role and knowing your natural options, you can treat your depression. Of course, if you think there’s any possibility you may be suffering from depression that is moderate to severe, please consult with your doctor. If your depression has reached the point where you have considered taking your own life, I want you to have this number: 1-800-273-8255. It will connect you with the National Suicide Prevention Lifeline and someone in your area will help get you through it. You are not alone. The world still needs unique and wonderful you and don’t you ever forget it!